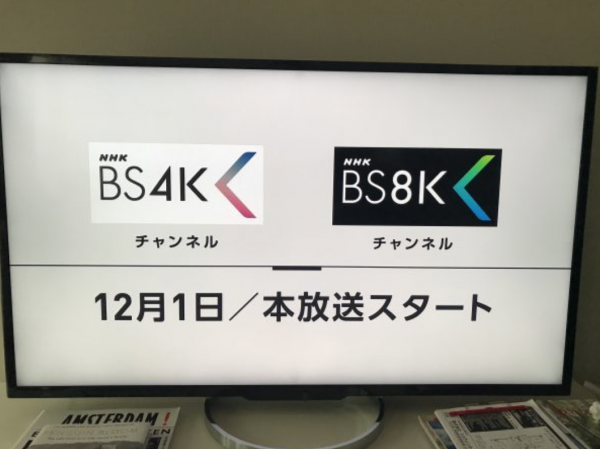 Japanese broadcaster NHK today started broadcasting 8K on a permanent basis. 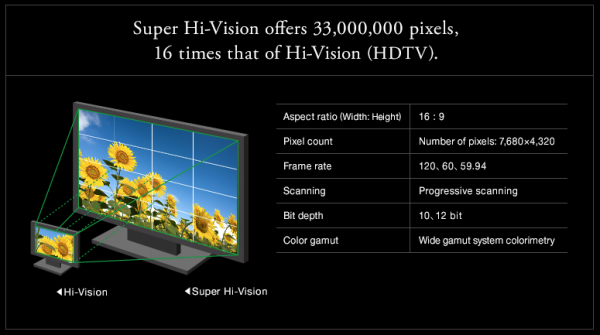 NHK collectively refers to 4K / 8K as “Super Hi-Vision“, and with the 2020 Tokyo Olympic Games and the Paralympic Games not too far away, this is a major step in transitioning viewers to what the broadcaster is calling a “New era of full-scale super high vision”. 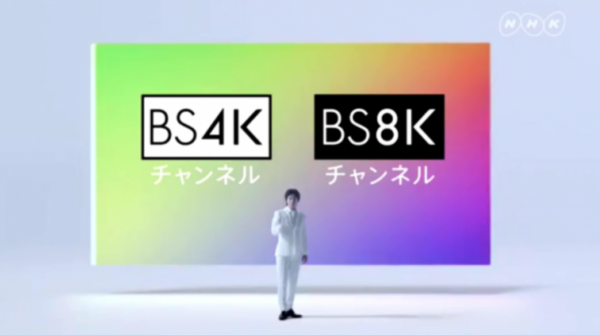 NHK’s 8K (well it’s actually 7680 x 4320) broadcasts are now available on a daily basis on a special channel between the hours of 10 am and 10 pm. The picture quality of the broadcasts will be 16 x greater than that of HD, and audio will be delivered in 22.2 multi-channel. 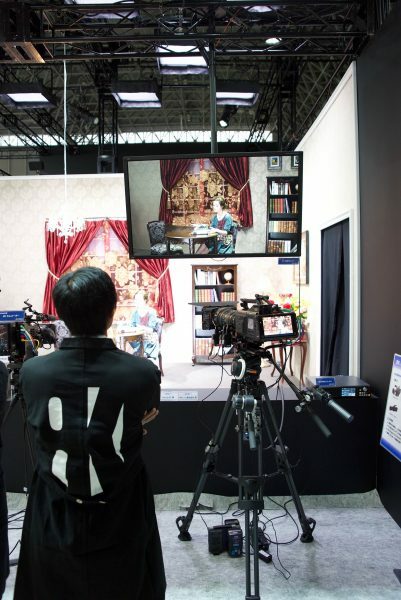 NHK will be broadcasting in frame rates of 59.94, 60 and 120P. 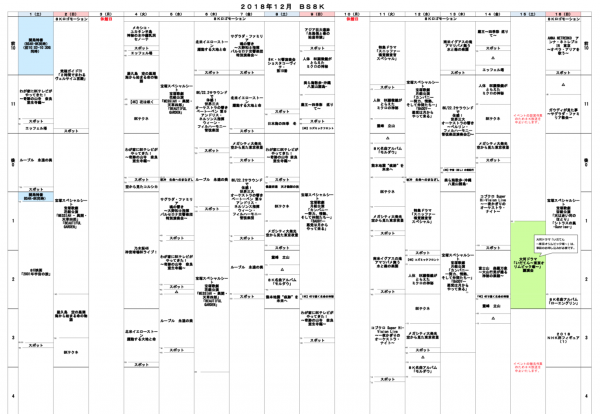 Above is the current program schedule for 8K broadcasts by NHK in December (sorry it’s only available in Japanse). On my TV here in Japan, I have been seeing more and more ads for NHK’s 8K broadcasting. 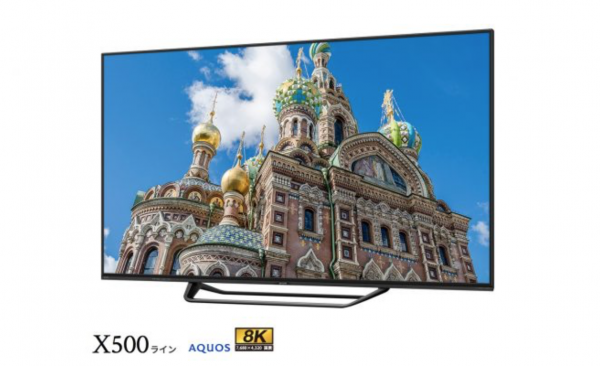 You would think that most people in Japan would be watching 4K broadcasts or at least own a 4K capable TV, but that couldn’t be further from the truth. 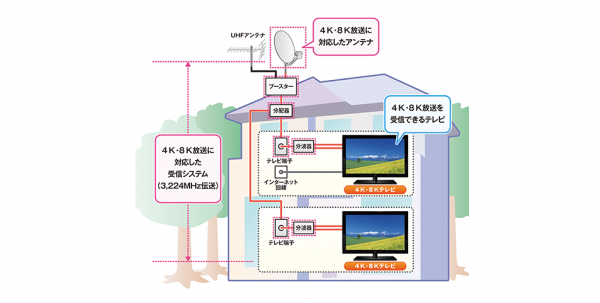 Most Japanese are still watching HD broadcasts on HD televisions. It’s somewhat strange that NHK is now pushing 8K, even though you still can only watch very limited content in 4K on their channels. 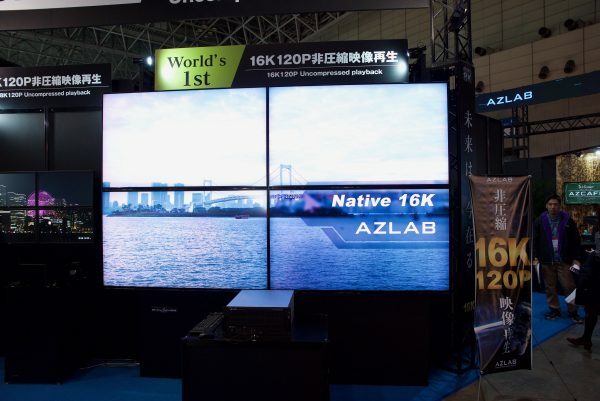 8K technology was on display everywhere at the recent Interbee 2018 show in Japan. 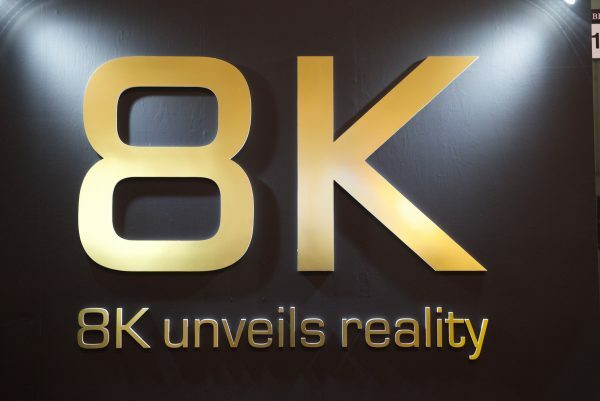 From 8K cameras to 8K displays, to 8K being sent over IP via a 5G phone network, everywhere you looked it was 8K. If that wasn’t enough, there were even companies showing 16K 120p. 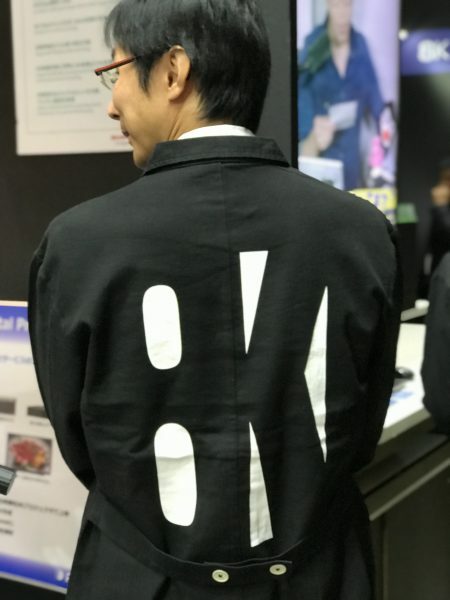 With NHK broadcasting the Tokyo Olympics in 8K in 2020 there is a big push here in Japan to not only create 8K content but also make it available for consumers to watch. 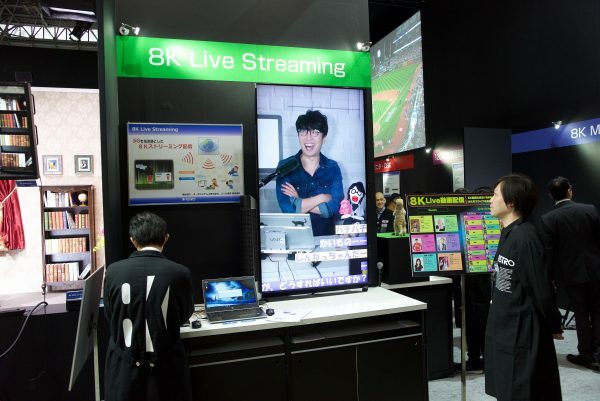 The Japanese government is keen to push 8K and the Interbee show, Astro Design were showcasing live 8K over IP broadcasts using 5G technology. 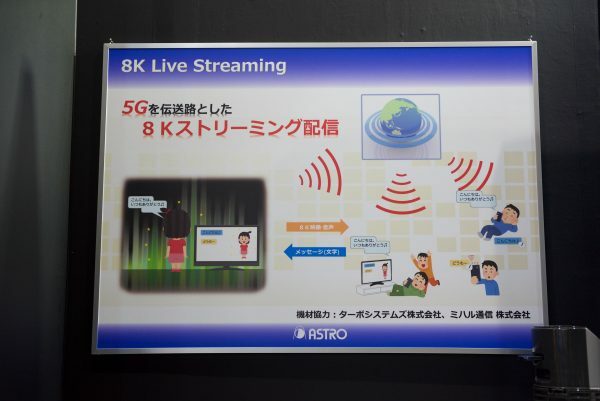 Japanese telecommunications giant Docomo were also showing 8K content over their 5G network that is still in development. Watching 8K material on your smartphone is probably a complete waste of time given how small the pixel density already is on most devices. Maybe we will start to see larger mobile devices such as the foldable Samsung concept phone, or higher resolution screens starting to appear over the next few years. I do, however, think that with the speed and bandwidth available over 5G that a lot of people will be using this technology and getting rid of their fixed internet lines. This means you could be watching 8K material on an 8K screen in your home, all being broadcast or sent over a 5G network. 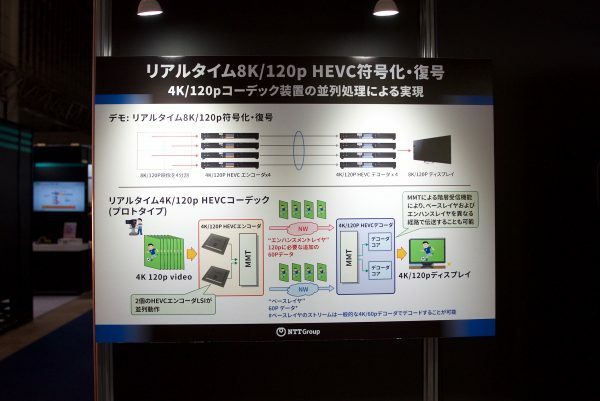 8K 120p encoding and playback were also popular at the show. 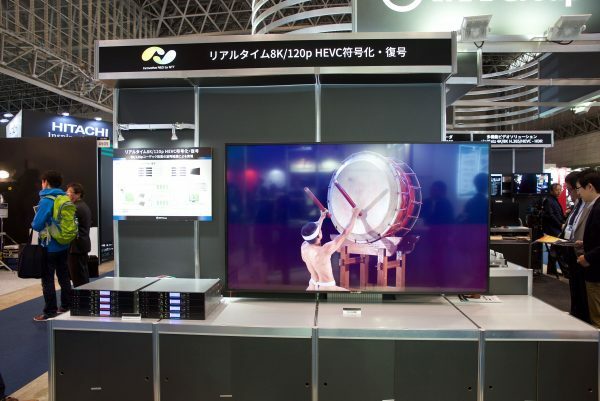 Companies were using very large and very noisy systems to playback 8K 120p material on giant 8K displays. Above you can see how they were doing it. 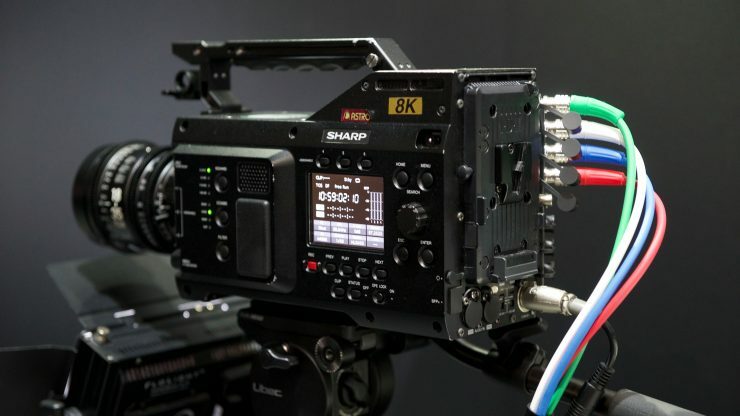 If 8K wasn’t enough, there were companies showing 16K 120p uncompressed playback on the showroom floor. Now there isn’t currently any such thing as a 16K display so most companies were either using 4 8K screens or 16 4K screens positioned together.